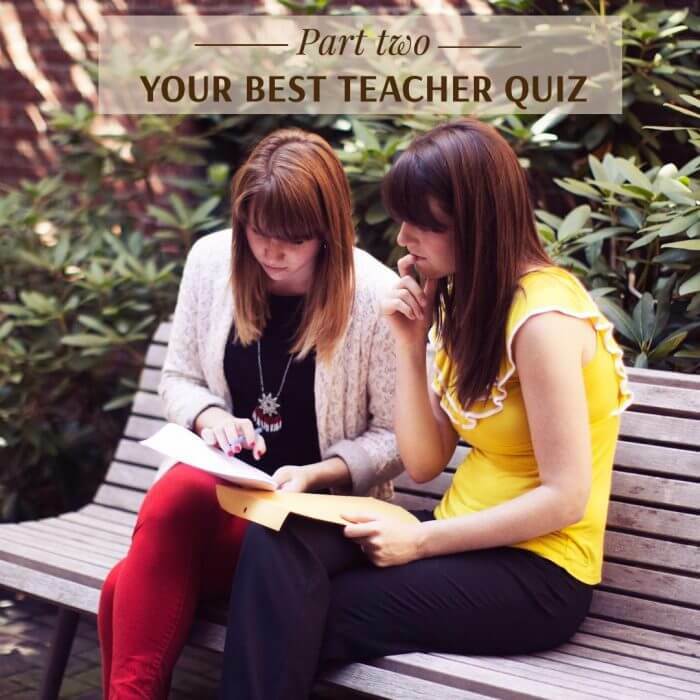 This article is the first piece of a 3-part series that will help you find the teacher of your dreams, so to speak. Though this website mainly focuses on French, you can absolutely use this guide to select any online language teacher. If you’re interested in finding the right match within your hometown, then I would suggest going directly to part 2 and 3 of this guide. Well, search no more because I’ve checked it all out for you, both as a student and as a French teacher. There are quite a lot of choices but after testing many of them myself I’m going to limit myself to the two best options that currently exist. You never know when a great learning platform can pop out on internet, and if it does in the future I’ll make sure to add it to this article. Many language learners will confirm it, italki is the place to go for incredibly cheap classes with many features I personally love! The prices range between 10 and 15 dollars per hour if you go with a Community Tutor (a native who has the experience but no official teaching credentials), which is a great option for anyone who already knows the basics of French and wants to refresh what they’ve learned in conversation classes (intermediate to advanced level). You can get even better prices by purchasing a package of 5 or 10 classes and you can choose among 90 different tutors that have generally been teaching for a couple of years so it’s definitely worth it. Seriously, my Portuguese teacher was a terribly dedicated woman in her mid-twenties that I found in the Community tutor’s section of italki. Not only did my speaking abilities increase rapidly, she also taught me a thing or two on how to conduct a well-structured class and I’ll be eternally grateful to her for that. 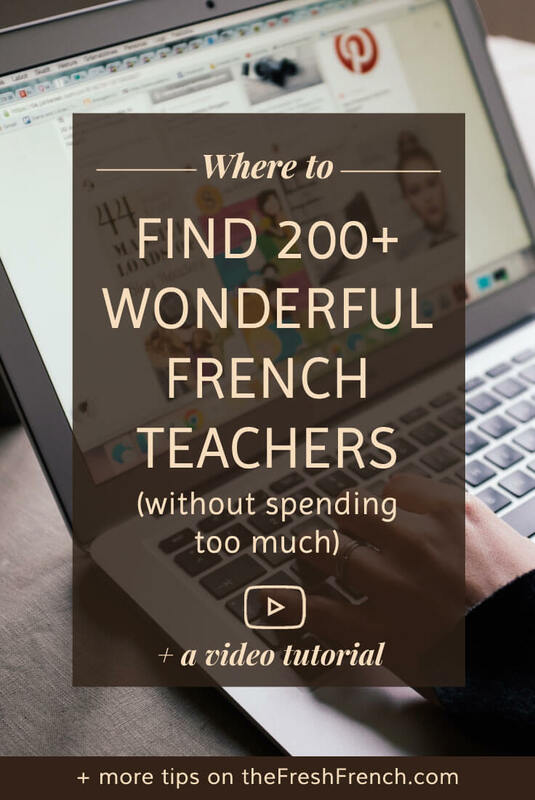 Watch how I chose her and how you can find a great French teacher yourself in the video down below. On the other hand, if you go with what italki calls a Professional teacher, you can find classes for 15 to 20 dollars per hour and there are about 50 native French teachers. A real benefit of online teachers is that they often live abroad, which partially explains why they decided to get into online teaching as it isn’t always easy to find a job in the first few years as an expat. Why is that a plus for you? This means these teachers know exactly what you’re going through. They are probably learning a foreign language themselves, know what culture shock is and why it’s so important for you to break the language barrier fast. Finally, did I mention you can choose between having a 30, 45 or 60-minute class? 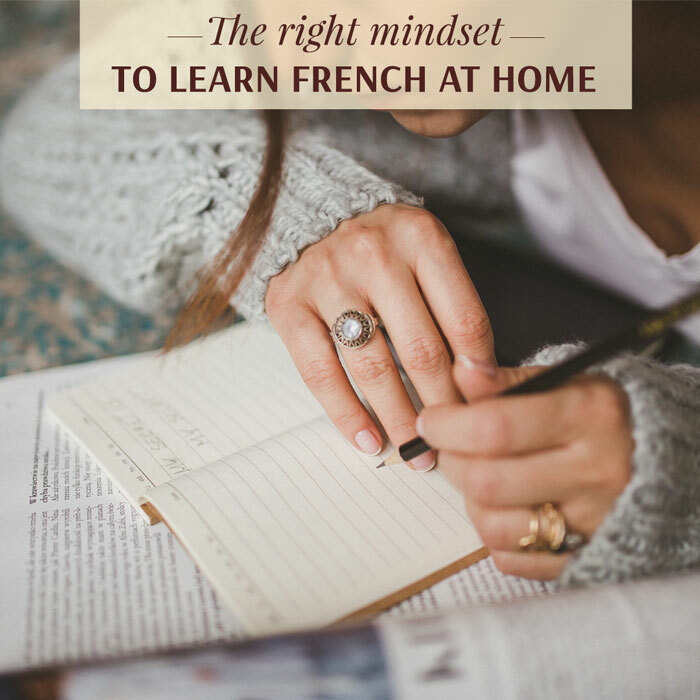 Having 2 or 3 half an hour classes per week is a great way to quickly build up confidence and apply vocabulary you’ve recently learned to an authentic French conversation. If you’re interested in trying out italki but don’t know where to start, then let me show you how I chose my own private tutor back when I was learning Portuguese in Brazil. Verbling is my second favorite platform as it is a little more expensive (15-25 dollars per hour). It does have similar features to Italki such as themed packages of 5 to 10 classes and the possibility to take instant classes without booking them in advance. I’d say it’s a little less flexible though because you’re using Google Hangouts for classes and it’s more complicated to share documents or use the chat features during the class. If you’re a firm believer of homework, Verbling does have this useful tool where the teacher can assign you a task and add a deadline to it. It all happens online so there’s no need for you to print, write then scan and upload your work. By the way, did you know you can even do online classes just by using your phone? It’s just so easy to take classes wherever you are, but I would advise you to use the video as body language and facial expressions play an important role when having a conversation in a different language than you’re familiar with. Verbling does have one cool feature I wanted to mention which is doing a class in tandem, meaning you can ask the teacher to teach both you and a friend at the same time! This way, you get to save some money and the class feels more fun and less intimidating. You could also choose to share the price of the class between up to 3 students you’ve met on a forum and save some extra dollars to celebrate with hot chocolate at the Pâtisserie Viennoise (who could resist this thick, bittersweet glory?). Step 1. Verbling vs italki, which will you use? Try out the platform that seems most attractive to you below. Step 3. If these articles prove to be helpful, please take a moment to come back to the comments section and share the name of your lovely teacher with us. Who knows who else can benefit from your recommendation, right? Side note: Just so you know, the links to Italki and Verbling are affiliates, which means both you and me will receive the equivalent of 1 or 2 trial classes for free, encouraging us to learn more of a language! I love using these platforms and would not recommend them if I thought they weren’t doing the job. What a great post! I wish I had these available when I went on my Paris/Normandy excursion 15 years ago. Thanks for sharing! You’re right, being able to learn Serbian online for example really made my life easier when I moved to Belgrade!